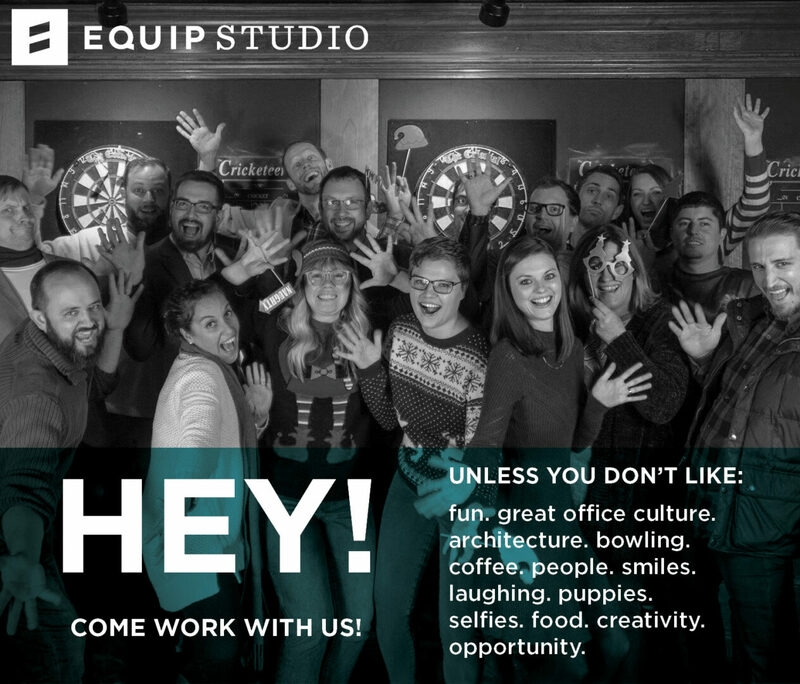 Equip Studio is currently hiring. We are looking for someone to join our team who has a passion for collaborative design and good coffee. At Equip Studio, we like to have fun while we work, whether that’s listening to good music, cracking jokes or grabbing lunch together downtown. We are passionate about architecture and we work with some of the best clients in the world. It’s a unique environment that allows us to get back to the core of what architecture should be: creative, imaginative, and collaborative. We love what we do and we would love for you to join us. Take a look at the position(s) we have available and let us know if you are interested in joining our team. Click on the button to apply. We are seeking a dynamic Administrative Assistant to join our team who is ready to be the backbone of the day-to-day operations of Equip Studio. A successful candidate will be energized by assisting others and prepared to do whatever it takes to support the team. Below, you will find a list of a few specific things we are looking for. Even if your skill-set doesn’t exactly align with what we have listed, we’d still love to hear from you. This position reports to the firm’s partners and works collaboratively with administrative staff. Take a look at Our Portfolio. You can be sure that you will enjoy what you do. We only hire talented people for Our Team. Our office culture is very important to us and that depends heavily on the personalities we surround ourselves with. Everything we do is weighed against our Core Values. It makes things run smoothly when everyone is working toward the same vision. No matter which of Our Locations you settle on, there’s a really good chance you will love where you live as well as well as where you work. Greenville, SC is a great place to live… and our office is on the anchor corner of North Main Street in the vibrant heart of downtown. Our Florence, SC office is located right in the center of the revitalization of the historic downtown area.